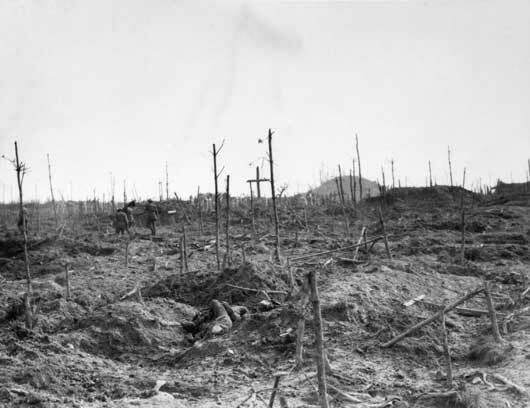 Polygon Wood was the second of three battles between 20 September and 4 October 1917 in which ‘step by step’ or ‘bite and hold’ tactics were used to batter down the formidable German defensive positions. After an opening bombardment the infantry would advance for a prescribed distance behind a ‘creeping’ barrage of shells. This barrage would keep the Germans in their ‘pillboxes’ until British soldiers were almost upon them. The enemy positions would then be captured consolidated and protected from counter-attack by artillery. Artillery would be brought forward and the next ‘bite’ attempted. In this way the British aimed to work their way from their start lines near Ypres to the heights of the ridge ten kilometres away at Passchendaele village. 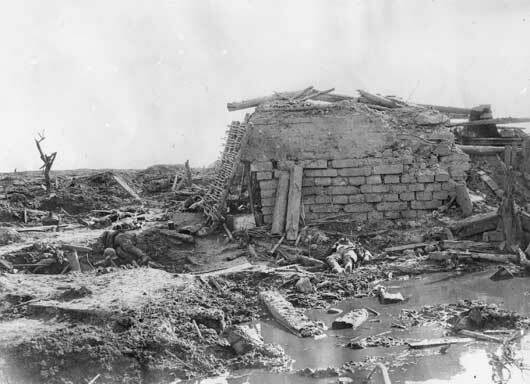 At Menin Road on 20 September 1917, in the first use of the ‘bite and hold’, the Australians sustained 5,000 killed and wounded but the tactics had been proven and, combined with the allied superiority in artillery, showed that, with fine weather, the allies were now in a superior position. Both the British and the Germans suffered similar casualties, but while the British were elated at the results, the Germans were crushed by the defeat. The next battle was Polygon Wood and Charles Bean, the Australian Official Historian described the opening barrage on 26 September as the most perfect that ever protected Australian troops and that it rolled ahead of the troops roaring ‘like a Gippsland bushfire’. The name Polygon Wood derived from a plantation forest that lay along the axis of the Australian advance. Shelling had reduced the wood to little more than stumps and broken timber. 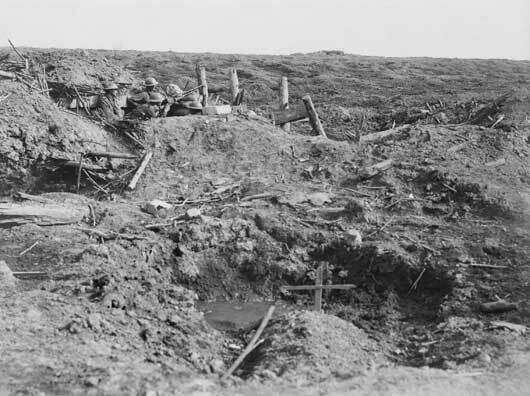 Seven divisions, five British and two Australian, advanced behind the screen of shells – the ‘creeping barrage’ as it was known – and seized most of their objectives. The Germans launched several counter-attacks but these were thwarted by the heavy defensive artillery barrages used to protect the infantry consolidating their objectives. 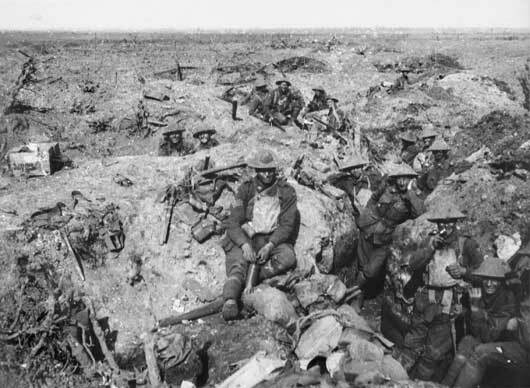 However, despite the success, 5,770 Australian were killed or wounded. 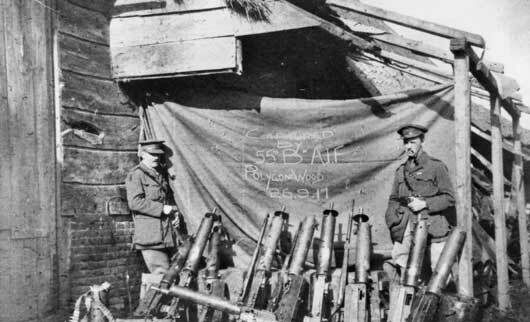 Two Australian officers with some of the German machine guns captured by the 55th Battalion in the attack near Ypres by the 5th Division on 26 September 1917 (AWM C01085). Bodies of German soldiers around a heavily concreted pill box, between Nonne Bosschen and Polygon Wood (AWM E00777). 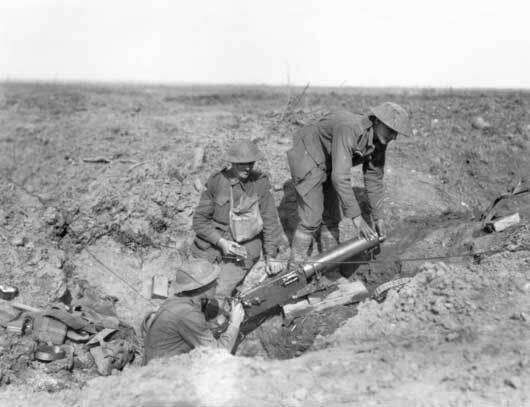 Three Australian machine gunners inspecting a captured German MG08 machine gun (AWM E00779). A Hotchkiss Mk 1 light machine gun manned by members of the 13th Light Horse Machine Gun Company (AWM E00807). Australian troops manning improved shell craters at Polygon Wood (AWM E00971). 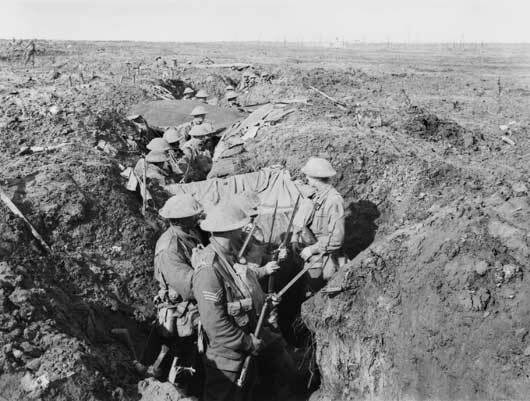 The 30th Battalion in forward area trenches near Zonnebeke, in the Ypres sector (AWM E01402). Stretcher bearers of the 57th Battalion, passing through the cemetery near the mound in Polygon Wood (AWM E01912). A camouflaged 8-inch No. 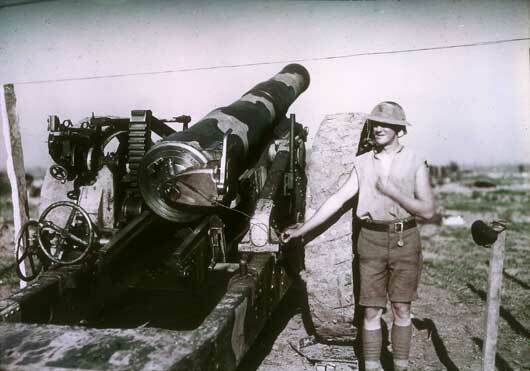 2 gun of the 1st Australian Siege Battery (AWM P03631.169).